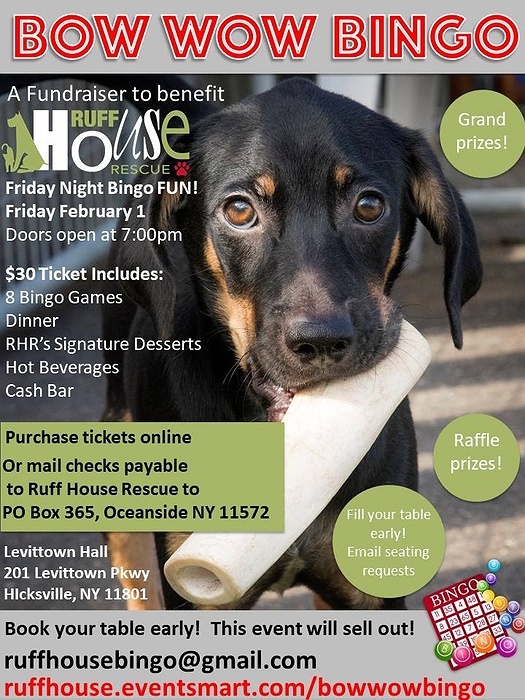 Subject: LongIsland.com - Your Name sent you Event details of "Bow Wow Bingo"
A fundraiser to benefit Ruff House Rescue. 8 games of Bingo, food and desserts! As always there will be tons of great raffle baskets and prizes! Raffles, 10 tickets for $20, 30 tickets for $50, and 100 tickets for $100.